What are they, and why bother? Ever since cars have been around, the perfect shine has been the most important part of the exterior appearance of a vehicle. The industry has been searching for a solution that provides long-lasting shine and repels dirt, environmental contaminants, and rain. The newest development in the quest has arrived, and it hits the nail on the head. Ceramic coatings (aka nano coatings) uphold a shine longer than waxes and save razor-thin clear coats from constant buffing. Ceramic coatings are liquids that come in tiny bottles. When applied to the surface of a vehicle, the coatings form a molecular bond to provide a glossy, long-lasting barrier that repels rain, dirt, contaminants, and sometimes UV radiation. Not only do ceramic coatings create a beautiful glossy finish, but they also protect that finish from harm for years to come. People obviously aren’t coating their vehicles in porcelain, so why are these coatings called “ceramic”? The “ceramic” in “ceramic coating” refers to ceramics made from nanoparticles. Unlike macro ceramics (your grandmother’s tea set), nano-ceramics aren’t brittle. Ceramic coatings bond with the clear coat, becoming nearly inseparable with the surface. Ceramic coatings are made of polymers (polymers are collections of bonded molecules). Polymers form a nanostructure by crosslinking with each other as well as the surface to which they are applied. Through this molecular bonding, the coating literally becomes part of the paint. Some coatings form such strong bonds that they can only be removed by a machine buffer. Less durable coatings can generally be removed with a strong solvent. Don’t be fooled by marketing terms like “glass” or “quartz”. All ceramic coatings are made of nano-ceramic polymers, what separates modern coatings from old ones (and high-grade coatings from low-grade ones) are the types of nano-particles used. A decade ago, ceramic coatings didn’t last long because of the limitations of SiO2. However, since the introduction of silicon carbide coatings, a single application can last for over 10 years. Coatings are often composed of a blend of ceramic nano-particles to achieve specific protective qualities. The term “hardness” is often presented as an analogue for quality. Brands claim a “9H” hardness (the highest level on the pencil hardness scale) to show off the apparent quality of their products. However, the truth is that as hardness increases, scratch resistance goes down. The incredibly dense structure of hard coatings mean that the pressure of an abrasive isn’t spread out at all. This results in a permanent scratch. An elastic coating spreads the pressure out so it can be absorbed over a larger surface area. Think of how mud oozes back together after it is disturbed, whereas a scratch in rock will last forever. Self-healing films exist in two broad categories; some films self heal with the gentle application of heat (from a blow dryer or heat gun) and some heal through a process called auto-mechanical self-healing. As new technology is developed, it is exciting to see what is on the horizon for ceramic coatings. While you wait for Part 2 of this in depth look at ceramic coatings, you can check out our ceramic offerings right here. 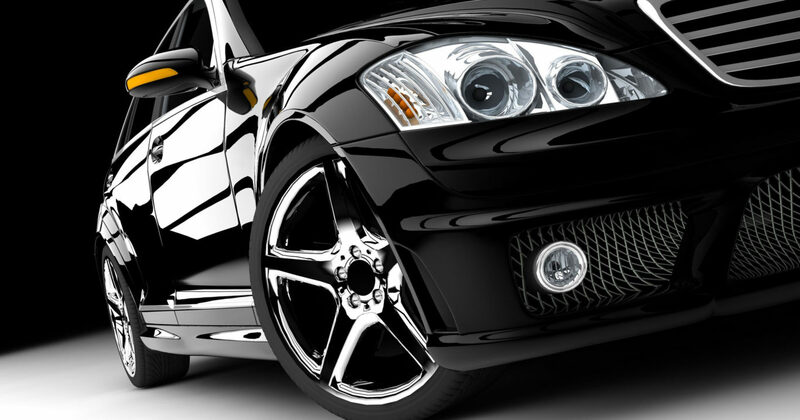 From paint correction, to protective nano-ceramic coatings, we have got you covered.